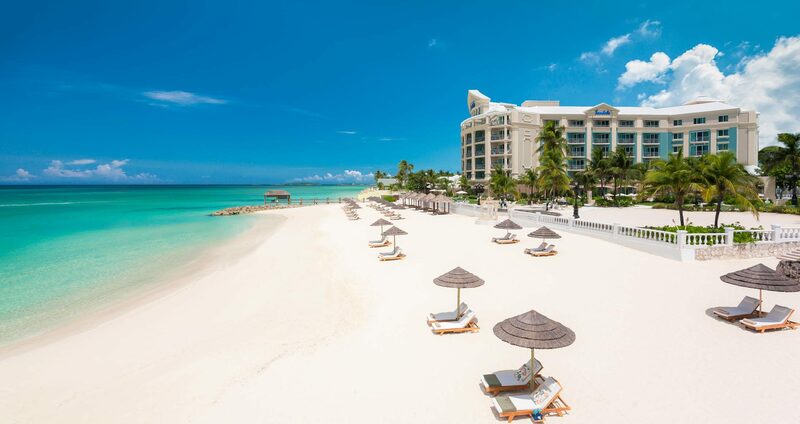 Sandals Royal Bahamian offers luxurious rooms and suites including the magnificent River Pool Swim-up Suites. Choose from the grandeur of the Balmoral Tower or the Windsor Tower, featuring walk-out suites set directly on the beach, or find peace and tranquility in the quaint cottages at the Royal Village. Take a complimentary ferry to the resort's own Sandals Island for exotic offshore adventures. There are two secluded beaches to choose from-one for relaxing and the other for exploring an area reputed to be the best in the Bahamas for snorkeling. Each restaurant boasts its own authentic ambience and décor, with masterfully prepared menus from internationally trained top chefs. Best of all, at Sandals no one's counting servings of anything including exclusive Robert Mondavi Twin Oaks® Wines and Appleton® Estate Jamaica Rum. Slip into any one of seven extraordinary pools at Sandals Royal Bahamian. Reminiscent of the epic grandeur of ancient Rome, towering arches and majestic statues edge two vast colonnaded oceanfront pools-each with sophisticated outdoor lounge seating and lively swim-up bars. Meanwhile, on Sandals Island, a pool with a swim-up bar is just steps from the sea. From the moment you arrive we start taking care of you. Relax and enjoy your stress-free ride with non-stop airport resort transfers featuring air-conditioning and comfortable, spacious seating. Or, opt to arrive in style in a private luxury vehicle from our first class fleet, which is available for an additional cost. Butler suite guests enjoy private transfers in a Rolls Royce or Mercedes Benz. The best way to experience the Bahamas in full is to get up close and personal with it. Island Routes offers luxury adventure tours that range from completely exhilarating to delightfully sedate. No matter what your speed, you'll gain insider insights and a whole new perspective on this beautiful paradise that we call home. 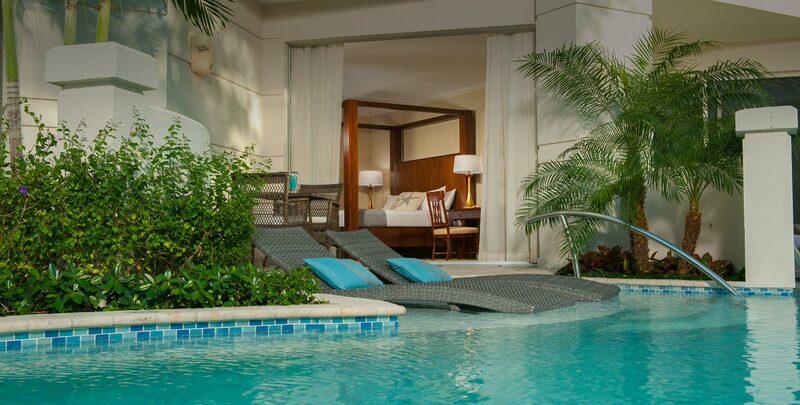 Sandals Royal Bahamian offers luxurious rooms and suites including the magnificent River pool Swim-up Suites. Few resorts in the world can match the exceptional fine dining selections at 10 specialty restaurants. Or the hospitality at 8 bars serving unlimited premium spirits. Each restaurant boasts its own authentic ambience and décor, with masterfully prepared menus from internationally trained top chefs. Best of all, at Sandals no one's counting servings of anything including exclusive Robert Mondavi Twin Oaks® Wines and Appleton® Estate Jamaica Rum. Bon appétit. Take a complimentary ferry to the resort's own Sandals Island for exotic offshore adventures. It's paradise found and included just 1-mile away from the main resort. Now until further notice, receive private roundtrip airport transfers in a Rolls-Royce or Mercedes luxury sedan when you book 7 paid-nights or longer in every butler room category at Sandals Royal Bahamian. From British opulence with Rolls-Royce to modern luxury with Mercedes-Benz, these exclusive airport transfers are just part of the Sandals Luxury Included® difference. For inclusive offer, the $1,000, $755, $555, $420 & $350 Instant Credits are in USD, applied to the base fare and excludes government taxes and fees, which must be paid at time of booking and is fully non-refundable.